06 Jun 2017 --- Researchers have conducted a study assessing the bioavailability of lutein and zeaxanthin from carotenoid-fortified eggs compared to control non-enriched eggs, and found that the change in fasting blood concentrations of lutein and zeaxanthin increased significantly more in the participants who ate the fortified eggs. Carotenoids are a large group of plant pigment molecules that serve as antioxidants in the body. Among 60 carotenoids absorbed from the diet into the body, two xanthophylls are believed to be especially important; namely, lutein and zeaxanthin. These plant pigments which bio-accumulate in the retina in the back of the eye, particularly in the central part of the retina, help quench reactive oxygen species to protect retinal photoreceptors. Excessive damage to this central area of the retina leads to age-related macular degeneration and is the leading cause of blindness in the developed world. 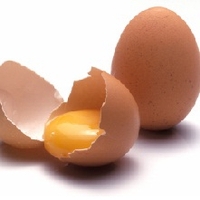 Eggs are a dietary source of carotenoids, and the liquid egg yolk matrix may favorably affect carotenoid bioavailability. In the study, researchers assessed the bioavailability of lutein and zeaxanthin in 50 subjects (18-65 years old; n=25 per group) from carotenoid-fortified eggs compared to control non-enriched eggs in an eight-week single-blind, clinical trial. The eggs were collected from hens fed either standard grain feed or standard grain feed fortified in a 1:1 ratio with lutein and zeaxanthin (70 mg/kg of each carotenoid) that resulted in the production of carotenoid-fortified eggs. Subjects in this study consumed two scrambled eggs per day, except on weekends, for eight weeks. The investigators measured serum levels of the carotenoids as an index of the bioavailability of these compounds. In addition, they also assessed whether consumption of the fortified eggs improved visual function. At the beginning of the study, baseline fasting concentration of serum lutein and zeaxanthin were not significantly different among volunteers in the control and fortified-egg groups (serum lutein 0.228 and 0.195 μmol/liter, respectively and serum zeaxanthin 0.080 and 0.074 μmol/liter, respectively). However, after eight weeks of consuming the carotenoid-fortified eggs, the change in fasting blood concentrations of lutein and zeaxanthin increased significantly more in the fortified egg group. The change in serum lutein concentration was about three-fold (0.070 vs. 0.246 μmol/liter) higher after consumption of the carotenoid-fortified eggs; whereas, the change in total zeaxanthin concentration was about four-fold higher (0.031 vs. 0.134 μmol/liter). However, these changes in carotenoid intake from fortified eggs were not associated with any significant changes during the eight-week study in serum total cholesterol concentration, LDL-cholesterol, HDL-cholesterol or triglycerides; nor did they affect visual function. This study is noteworthy because it indicates that the carotenoids lutein and zeaxanthin are bioavailable from egg matrix and that fortification of chicken feed with additional lutein and zeaxanthin leads to the enrichment of bioavailable carotenoids in eggs.